Sail in style around Croatia taking. 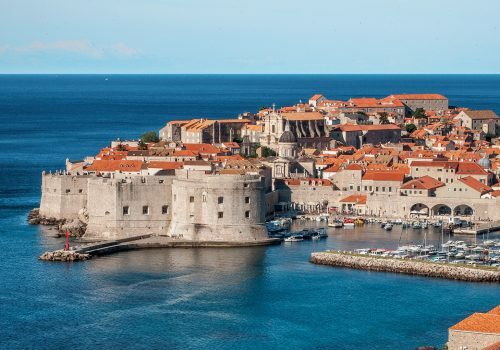 From Dubrovnik we’ll sail down the Adriatic coast exploring islands such as Mljet, Hvar and Korcula. In Brač we’ll explore the remains of Diocletian’s Palace, one of the great ruins of the Roman Empire. We’ll also sample some of Croatia’s finest wines. When you arrive at Dubrovnik you’ll be transferred to your luxury hotel. Evening at leisure. 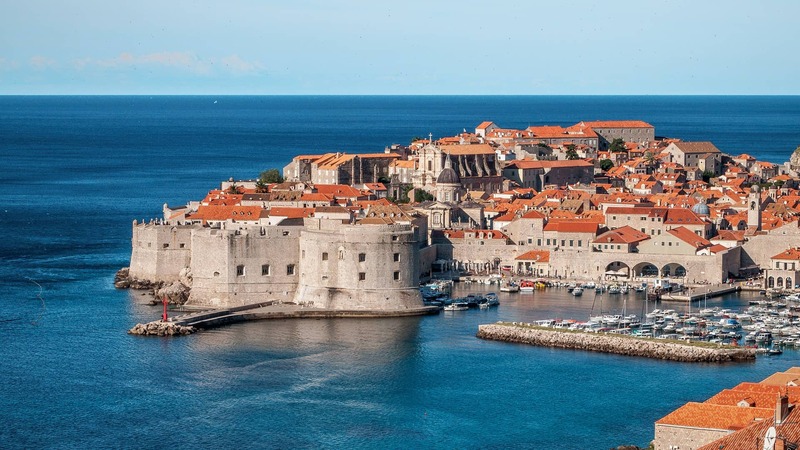 Today we’ll set out on a tour of Dubrovnik, the setting of much of the Game Of Thrones series. 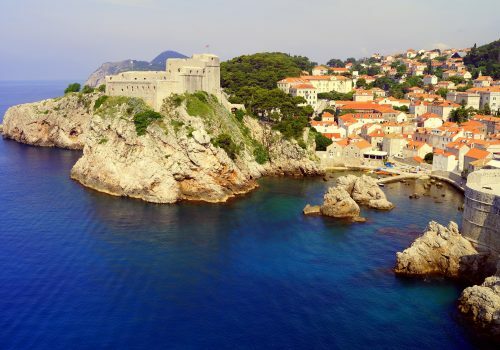 Dubrovnik is one of the great cultural and historical cities of the Mediterranean. In the evening there’ll be a welcome dinner where you’ll get to know your fellow sailors. After breakfast we’ll be kayaking around Dubrovnik. This is a great way to see the Adriatic coast. We’ll stop at a popular clothing optional gay beach, Lokrum Island. We’ll have lunch and set off for some more sight seeing. Today we’ll sail to the island of Mljet where the hidden port of Pomena is located. This island was written about by in the 6th-century BC by Greco-Roman geographers. We’ll explore the island, taking in the National Park and also swimming weightlessly in the saltwater lakes. We’ll be setting off bright and early to the island of Hvar, located between Brač and Korčula. After having lunch onboard we’ll cycle to the interior of the island. We’ll ride across vineyards and through ancient towns. On the way we’ll learn about the islands rich history – it was a Greek colony in antiquity. Today we’ll head to the island of Brač, home to the famous horn shapes Zlatni Rat beach. 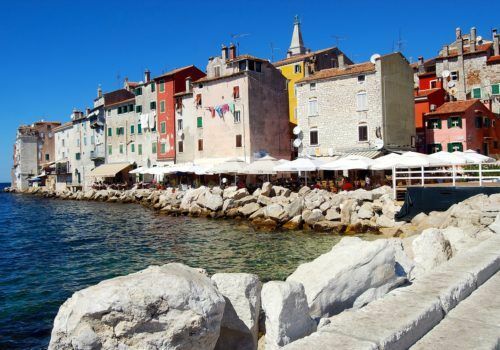 We’ll sail to Split after lunch – Croatia’s second city. It is home to the Emperor Diocletian’s palace, one of the greatest ruins of the Roman empire. In the morning we’ll head to Korcula, the apparent birthplace of Marco Polo. We’ll take a walk through the Lumbarda countryside. At the local vineyards we’ll sample some of Croatia’s finest wines. After dinner we’ll head for a cocktail on the beach. On our last full day we’ll sail past Peljesac Peninsula. We’ll explore the town of Trstenik. We’ll also head down the Mljet Strait, home to 14 islands and islets. We’ll wine and dine at Slano. After breakfast we’ll take a boat back to Dubrovnik and you’ll be transferred to the airport for your return flight.